Most boys will go football crazy to have this personalised name print hung on their wall. It is also a champion choice for a child’s birthday gift. The print features a boy footballer, from the ‘When I Grow Up…’ range, with a football match taking place in the background. Personalised with the child’s name in white lettering, the print is available in A4 unframed, A4 framed and A3 unframed. Enter the name you would like on this print. Longer names will be printed smaller. If you choose the A4 framed print, the frame measures 325mm x 235mm and has a beautiful oak finish as shown in the photo. It can be hung on a wall but also has a stand on the back so it can be stood on a flat surface. Please note, the A4 framed print is available for UK delivery only. 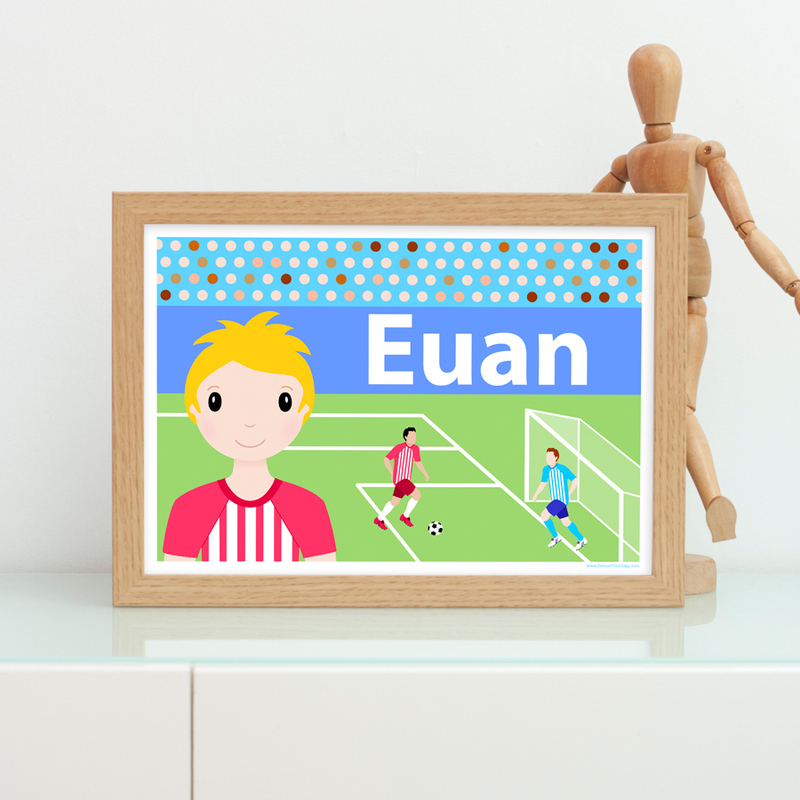 Be the first to review “Footballer Boy Personalised A4 / A3 Name Print” Click here to cancel reply.